We love it when restaurants take a risk and bring something new to Cairo. In a market that loves everything with cheese and melted chocolate, Rustik definitely took a huge chance by introducing Denmark’s national dish, smorrebrod (butter-smeared bread), which is basically Danish open-face sandwiches. 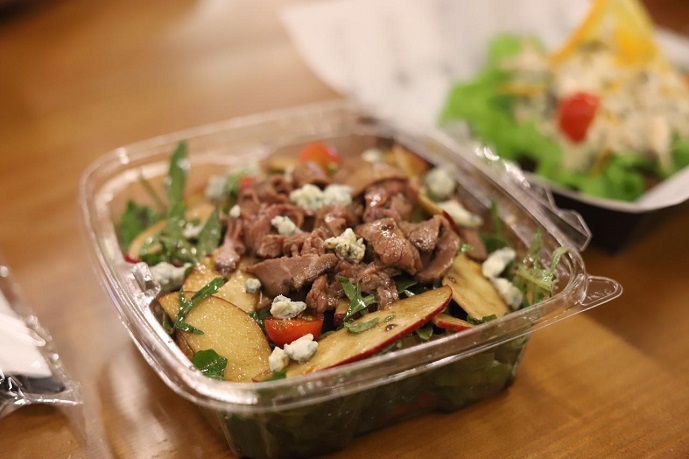 Located in Galleria 40’s Zaitouna Food Hall, Rustik’s menu has interesting choices of salads, unusual toppings for the smeared bread, and a dessert menu inspired by the street shops of Copenhagen. Our meal consisted of Roast Beef Salad (55 LE), Fish Fillet Smorrebrod (70 LE), Chicken Salad Smorrebrod (55 LE), and Strawberry Nutella Crepe (30 LE). Moving to the Fish Fillet Smorrebrod, it was served on rye bread that had all the authentic characteristics we were looking for; dense, sour, tough edges, and full of earthy flavours. The fish fillet itself, on the other hand, had a very dry and tough crust, the remoulade sauce was more of a mayo, and we didn’t feel the presence of the diced pickles in it at all. Additionally, the lettuce was a bit too much, to the point that you can’t even see the bread itself, and the smorrebrod really needed a wedge of a lemon on the side. 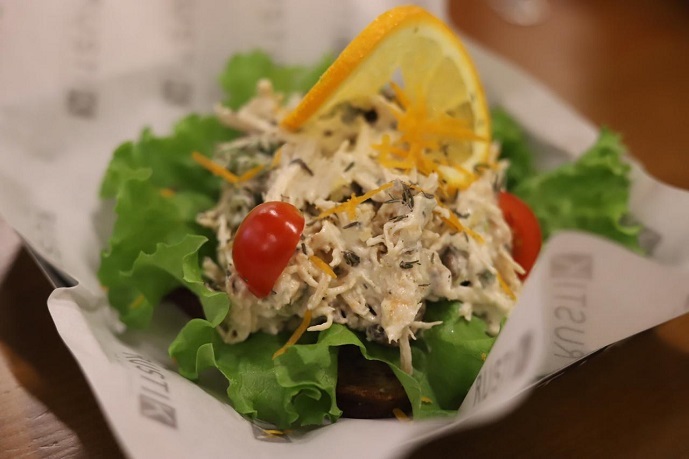 As for the Chicken Salad Smorrebrod, it complimented the rustic rye bread with its sauciness, and we absolutely loved the thyme on top. Shredded chicken might have a bad reputation for being dry and tough, but this one was far from that. But again, the lettuce was way too much. We finished our meal with the Strawberry Nutella Crepe. 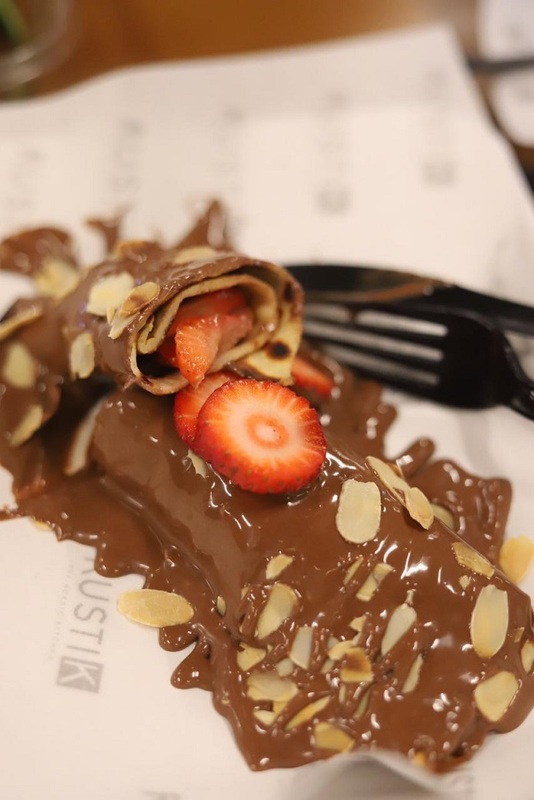 As simple as it might sound, the crepe was perfectly prepared, the ratio of Nutella and strawberries to the crepe was on point, and the addition of shaved almonds was terrific. All in all, what Rustik offers might not be everyone’s cup of tea, but it’s something new and fun to try. Some people will say it’s a 55 LE open-face sandwich and others will appreciate the quality over the quantity. Follow Rustik on Instagram to know more about Nordic cuisine. The Chicken Salad Smorrebrod and Roast Beef Salad were great. The Fish Fillet Smorrebrod needs a lot of improvement.